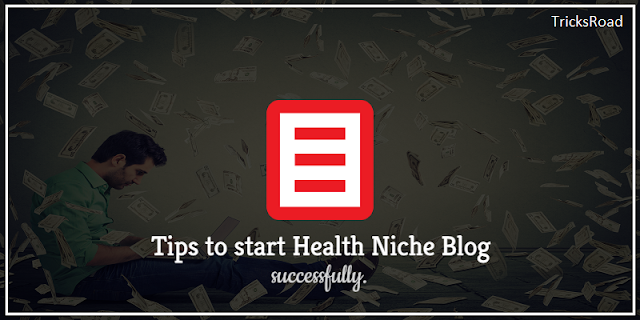 Are you looking to operate a blog in the health niche? Today, blogging has become one of the most popular careers in the digital world. As digital marketing becomes even more prevalent, blogging is going to continue to grow even more. 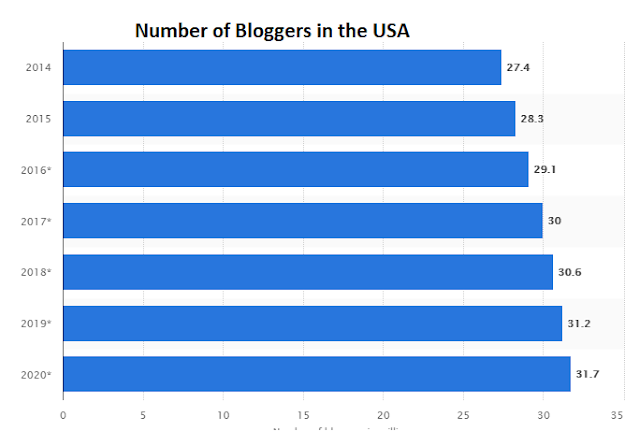 In fact, it's estimated that there will be over 30 million American bloggers in the year 2020. While operating a blog provides helps to provide an outlet for creative writing, it also has the potential to earn a profitable income. If you're looking to break into the world of blogging, you're going to want to read this. We're uncovering eight of the most useful tips and tricks on how to have a successful blog. First and foremost, it's essential to stay current with your health and fitness education. If you have vast experience or an educational background in health, share this with your followers! While it's not essential to have a traditional health background, it will make you appear more qualified. However, don't fret if your experience in the health field is not supported by traditional education. It's never been easier than it is today to educate ourselves both for free and for a low fee. 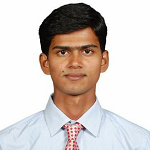 In the digital world, there is such a large assortment of free information available online. You can also choose to take an online class that can be attended anywhere in the world at any time. For example, you may choose to take an online certification course. These courses can help to provide knowledge and education on health-related careers such as a pharmacy technician. Read more details on how you can start building this education! One of the most important things to remember when operating a blog is the need to be consistent. Whether you choose to post once a day or once a week, be sure to keep this routine. Without consistency, your followers are going to tire of your blog and search elsewhere for content. Whatever you do, be sure that you're maintaining your presence and avoiding periods of neglect. If you plan to be away on vacation or taking a brief online hiatus, don't be shy to let your audience know ahead of time. If you're serious about making your blog profitable, it's essential to market yourself to the brands that matter. In terms of a health blog, you may want to consider marketing to local health stores, medical offices or sporting brands. Not only will this give you the opportunity to gain profitable writing clients, but it also provides for the opportunity to write for well-known brands. To start, it may be helpful to offer your writing services on a low-cost model. While you may be writing for a small profit, you're benefiting from being able to associate yourself with the brand. If you operate a health blog, it's imperative to share your content online. Today, a number of social platforms such as Facebook, Instagram, and Twitter make it simple to share your content. Not only is this a great way to advertise yourself for free, but it's also a great way to gain the attention of future followers. If you're putting significant amounts of effort into building your content, you're going to want to make sure that it's being viewed. Today, influencer marketing has become one of the most popular and trusted sources of marketing. In fact, 70 percent of teens report trusting and relating to influencers more than well-known celebrities. An influencer helps to bring attention to a product or idea by marketing the product in a seemingly natural way. For example, they may choose to advertise a product or idea on their social media page and recommend it to their network. If it's within your budget, try to connect with local influencers. For a fee or sometimes free products/services, they can market your blog and refer it to their followers. This is an entirely effective yet still natural means of increasing your name as well as your blog traffic. If you're making the effort to build killer content, you're going to want to ensure that it's SEO friendly. SEO friendly content helps to rank that content higher on traditional search engines. So, when your content is created with SEO in mind, it's more likely that it will catch the attention of those browsing the internet. This is the best way to ensure that your content is actually reaching your targetted audience. Establishing a question and answer form is one of the best ways to naturally engage with your audience. Remember, you are operating a health blog. This means that many of your visitors are going to have a list of burning questions they are looking to have answered. It's also beneficial to have this advice column be anonymous. Many visitors will feel shame in asking their intimidate medical questions and would prefer to go unnamed. Again, this will help to encourage communication and better your engagement with your guests. If you're looking to incorporate video, a question and answer column can make for the perfect video. For example, you can film a weekly video that answers all of the anonymous questions from that week. Last but certainly not least, it's essential to be authentic in your blog. Remember, health is a topic that can feel extremely intimate and extremely personal to many. That being said, don't take this fact lightly and remember the importance of the subject that you're discussing. In terms of your audience, they are more likely to feel connected to your blog if you are being your authentic and honest self. Don't hesitate to share with your followers your own health journey and any struggles you have had along the way. Being upfront and honest with your audience is another natural way to improve engagement. When you show a raw and honest part of yourself, your followers are bound to appreciate and connect with this sincerity. While many passionate writers choose to operate a blog, there's a significant difference between a profitable and non-profitable blog. A profitable blog has the potential to turn into a career that is financially and mentally rewarding. If you're serious about transitioning your health blog into a career, you're going to want to start implementing these tips on how to have a successful blog. Are you unsure as to whether you're ready to start a business with your blog? If so, be sure to read our article that will help to answer this important question!